Coming with Panasonic’s first Dual Optical Image Stabiliser and Body Image Stabiliser system to keep away the shakes and wobblies, the new GX8 also sports a 360k-dot display Live View Finder (LVF), which can tilt 0-90 degrees to provide all the arty angles you’ll ever need. Sealed in a dustproof and splashproof housing, the onboard Venus Engine image processor packs a quad-core CPU supporting high speed signal processing at 8 fps (AFS) / 6 fps (AFC). Being a Panasonic, there’s full 4k video support onboard, with the GX8 producing high-resolution QFHD 4K video in 3840×2160 at 25p (50Hz) or 24p in MP4. 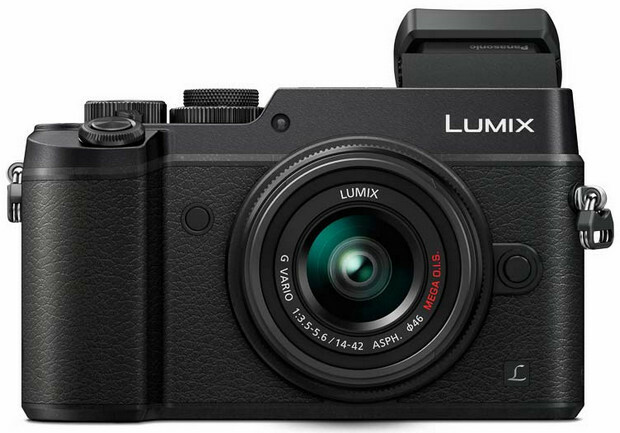 16th July 2015– Panasonic today unveils the LUMIX DMC-GX8, the latest addition to its critically acclaimed LUMIX G range of high-performance interchangeable cameras. Building on the success of the LUMIX DMC-GX7, Panasonic’s new camera incorporates the latest 4K technologies and Panasonic’s first Dual I.S (Image Stabiliser) into a sleek and stylish design that you can take with you everywhere. The LUMIX DMC-GX8 is yet another demonstration of Panasonic’s ongoing commitment to digital imaging innovation. Compact and mobile, the versatile new camera is ideally suited to those who like to shoot on the go, at street level, professional and amateur photographers alike will appreciate the variety of shooting styles that the camera supports. The LUMIX DMC-GX8 also includes a wide array of easy-to-use creative functions, allowing photographers to capture and share their artistic vision with more control than ever before. The LUMIX DMC-GX8 integrates a 20.3-megapixel Digital Live MOS Sensor to achieve superior image quality. Images are captured with minimum noise, even in low-light environments, and the sensor’s improved level of light saturation results in increased image accuracy, plus wider dynamic range for authentic colour reproduction. The new camera’s low-light shooting capability is boosted by a new Venus Engine image processor that achieves high resolution and sensitive image recording with minimum noise. This improved functionality makes it possible to remove blocks of noise that were formerly tough to detect, allowing you to replicate the image just as you saw it through the lens. The ability to capture consistently crisp and clear images is a key feature of the LUMIX DMC-GX8, and is further enhanced by the world’s first Dual I.S system. With the combination of a Lens Optical Image Stabiliser and a Body Image Stabiliser, even severe hand shake can be corrected to provide consistently blur-free images, from wide-angle right through to telephoto shooting even in low-lit situations. The Venus Engine image processor with a quad-core CPU also enables high speed signal processing at 8 fps (AFS) / 6 fps (AFC), allowing you to focus on and capture fast moving subjects with accuracy and ease. It also improves colour reproduction with accurate evaluation of every frame, analysing not only the colour itself, but also saturation and luminosity. The LUMIX DMC-GX8 is also able to capture ‘Natural Texture Expression’ by dramatically improving resolution, sensitivity, colour reproduction and gradation. 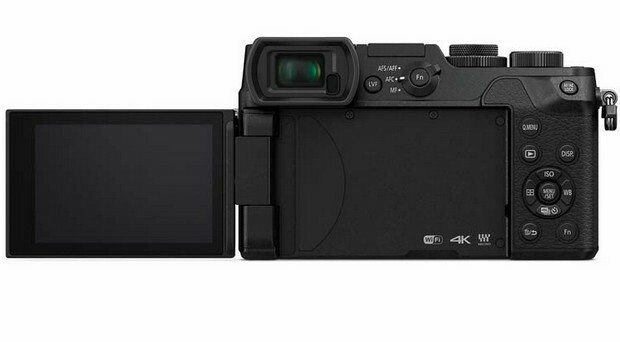 One of the most significant upgrades since the popular LUMIX DMC-GX7 is the introduction of 4K video capability. The LUMIX DMC-GX8 records stunningly smooth, high-resolution QFHD 4K video in 3840×2160 at 25p (50Hz) or 24p in MP4, in addition to Full HD 1,920 x 1,080 at 60p (50 Hz) videos in AVCHD Progressive or MP4 (MPEG-4 / H.264) format with practical full-time AF. The LUMIX DMC-GX8’s all-new 4K functionality not only allows for stunning quality video capture, it has also enabled Panasonic to totally reimagine the photographic process. Using 4K video recording capability, the 4K Photo function allows you to extract an 8-megapixel still with total control and precision, so even those magic moments that pass in the blink of an eye can be captured and enjoyed forever. 4K Burst Shooting: allows up to 30 minutes of continuous shooting at 30 fps, which can be used just like a photo burst shoot mode by holding the shutter down. 4K Burst (Start/Stop): starts consecutive shooting with a single press of a shutter button and stops it with the second press, which is more suitable for shooting opportunities that require a longer waiting time. 4K Pre-burst: automatically records 30 frames the second before and after the shutter is pressed, giving you 60 chances to capture that perfect moment. The LUMIX GX range is renowned for its compact and stylish aesthetic. The latest addition builds on the successes of its predecessor and incorporates a host of exciting new features for superior usability. Built from magnesium alloy, the LUMIX DMC-GX8’s body is lightweight yet rugged and durable. The camera is also splash and dustproof, which is achieved by tightly sealing the various sections of the camera’s body to enable shooting under extreme conditions. The new 2360k-dot display Live View Finder (LVF) is able to tilt 0-90 degrees to give you the versatile shooting options to suit every environment. The OLED screens on both the LVF and accompanying monitor also offer superior response for shooting fast-moving subjects or videos with total control, while 10,000:1 High Contrast allows for superior colour reproduction without blown highlight or shadow clipping. Thanks to the newly designed large eyecup, the visibility of the LVF has been dramatically improved, and with the largest 1.54x / 0.77x magnification (35mm camera equivalent) in the LUMIX G line-up to date, you can frame and capture images and video exactly as you intended. The rear monitor features a 3-inch, 1040K-dot Free-Angle touch screen display which can be moved both side to side (0-180 degrees) and up and down (0-250 degrees) to provide you with flexible shooting angles. Both provide 100% field of view to ensure you’re not missing a better shot at the periphery of the frame, as well as Manual Monitor Adjustment – settings such as brightness, contrast and saturation can all be adjusted separately. Image output between the LVF and the rear monitor is also switched automatically with the eye sensor on the LVF, in order to conserve battery. 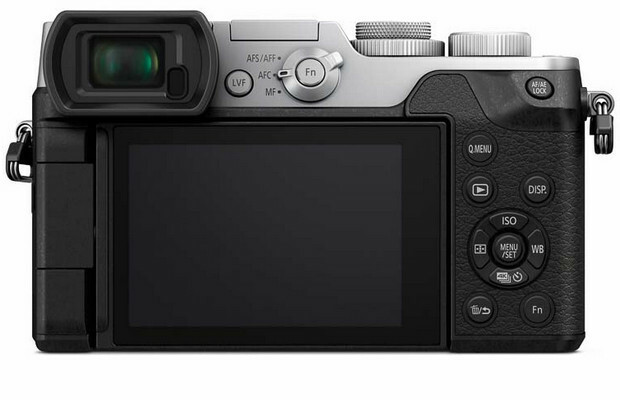 To further enhance user control, the LUMIX DMC-GX8 features a new Dual Dial Control for fast and practical customisable control. The front and rear dials control the main aperture and shutter speed settings as normal, however settings can also be temporarily allocated changed with the Dial Operation Switch. This allows you to activate modes such as 4K Photo more efficiently, allowing you to frame and capture photos and video faster and more accurately. The Contrast AF system in the LUMIX DMC-GX8 is further enhanced by Panasonic’s integration of Depth from Defocus (DFD) technology which shortens the focusing time even further. DFD calculates the distance to the subject by evaluating two images with different sharpness levels while simultaneously analysing the optical characteristics of your composition. As a result, the LUMIX DMC-GX8 achieves ultra-high speed AF of just 0.07 sec. This lightning-fast AF becomes increasingly beneficial as focal length increases and also enables significantly faster conventional burst shooting (8 fps AFS / 6 fps AFC). Utilising a new algorithm, the LUMIX DMC-GX8 has improved AF tracking performance by 200% compared to the LUMIX DMC-GX7. Rather than conventional AF tracking which relies on colour alone, the new system also takes into consideration the size and motion vector of the target, locking onto the subject, and providing perfectly in-focus shots every time. What’s more, Low Light AF also makes it possible to set focus on the subject more precisely in extremely low-lit situations such as a night out with friends or photographing wildlife at dusk. 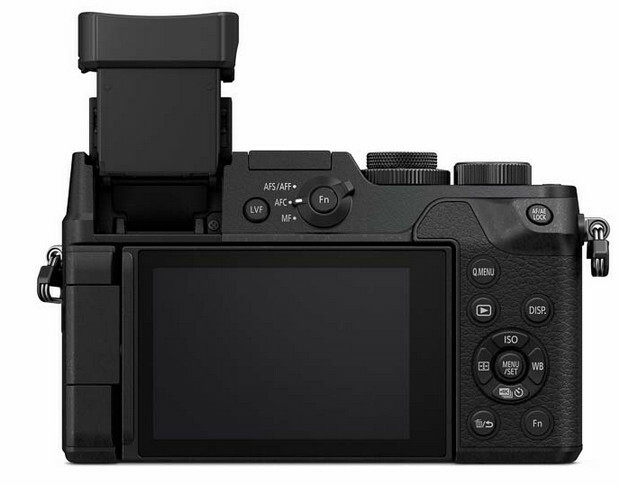 The LUMIX DMC-GX8 integrates Wi-Fi connectivity for a flexible shooting experience and fast and easy image sharing. Thanks to NFC, it is easy to connect the camera to a smartphone or tablet, allowing you to share images and clips to social media or email them to friends and family almost as soon as they’ve been recorded. Alternatively you can use your mobile device as a remote control for the LUMIX DMC-GX8, changing settings such as focus, aperture, shutter speed and ISO, before triggering the shutter release.